Join us on January 29 to talk shop! Mark your calendars, folks. 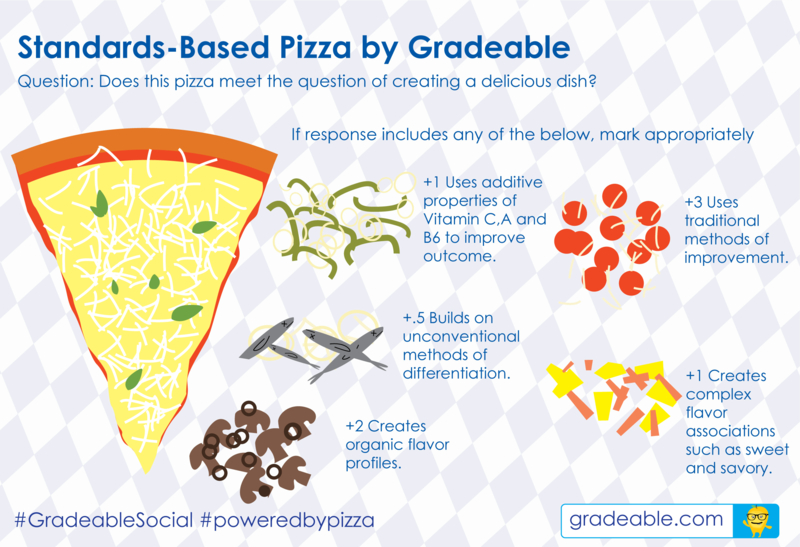 On Wednesday, January 29, we’ll be hosting another #GradeableSocial. This time around, we’re gearing it as a real-life Personal Learning Network with standards-based grading practices as the topic. It’s going to be an opportunity for educators to share their ideas with other educators without having to type #PLN. For all the people who feel alone, swimming in papers, looking to the internet for support, this is your chance to talk shop with equally passionate educators. Join us for food, drinks, and the love of education. This week, BostInno named us one of the 11 ed-tech startups “poised to make noise” this year. Along with us, our office neighbors, Listen Edition also got a nod for ed-tech excellence. We are both part of the inaugural class of LearnLaunchX, which is the accelerator that has hooked us up with mentoring, a collaborative space to work, and seed money. If you haven’t checked out Listen Edition, it’s a company that uses public radio stories in the classroom for the new required listening standards. I’m a big fan because the radio is such an untapped resource of great, relevant, and real-life stories. Anyway, very exciting stuff for our corner of Learn Launch! You know how the saying goes, when Mother Nature gives you a polar vortex, use it as a learning opportunity. The New York Times put together awesome ideas to teach to the weather. For example, you can have students learn what a polar vortex usually looks like. Or you can teach them how to convert from Fahrenheit to Celsius to Kelvin and what the scales mean. I love that people can see the cold as a learning oppertunity instead of a grumbling oppertunity! Teachers in Garnet Valley School District in Pennsylvania got some technology tutoring from teachers of surrounding communities. The problem Garnet Valley faced was getting teachers comfortable with technology without enough funding. They tackled this problem by recruiting teachers from surrounding towns to teach at their “technology academy” and build relationships with Garnet Valley teachers to find solutions that work for them. I like this story because it starts with trust and buy-in from the teachers. These are some tips from the founder of Buffer to stay happy every day. The task of sitting behind a monitor all day every day can get numbing and these are some great, real ways to stay on an even keel. I’m going to start with #1 and wake up earlier every day, what about you guys?